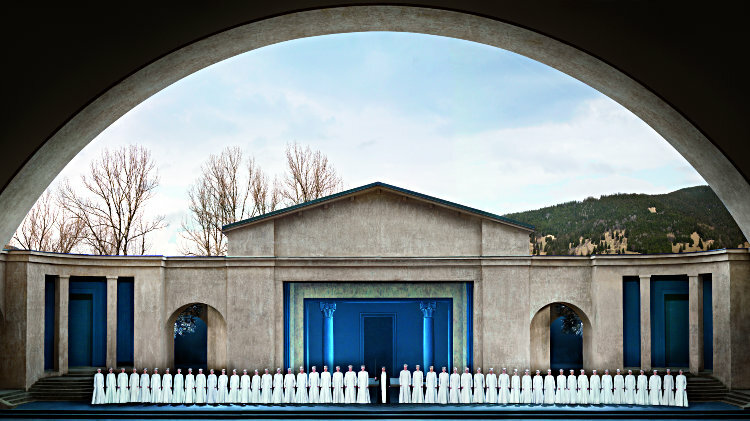 The Pilgrimage Committee has the pleasure to announce that we have managed to secure Category 1 tickets for the much anticipated Oberammergau Passion Play 2020 and a package on half board basis in Oberammergau and Zell am See from 20th May 2020-27th May 2020. It will be a devotional and leisurely itinerary. If you wish to book there is an early bird discount until 01 May 2019 on a first come first served basis. Flyers and itinerary brochures are available at the back of the church and from Diane by email or phone 07951194036. A testimony from a parishioner who attended in 2010 ‘One of our group who professed not be a ‘believer’ stated this to have been ‘the most moving portrayal of the passion story he had ever seen.’’ At the end of the play she found herself in tears.